Spring is right around the corner, and spring means spring cleaning and organizing. I have 2 products to tell you about to make organizing a little easier. 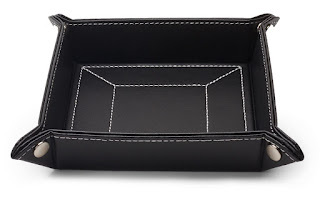 The first product is Black Men's Valet Tray. When snapped together it measures 5 x 4 x 1.5 inches. Just the right size to put keys, wallet, etc in and attractive enough to leave in plain view on top of a dresser, hall table or desk. Masculine and attractive and no more hunting your keys, just put them in your valet tray when you come in or empty your pockets. I like to keep things organized, so much easier to find things when they're where they're supposed to be. 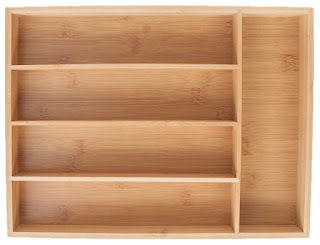 The second product is the 5-Drawer Bamboo Cutlery Drawer Organizer. This isn't just for silverware, you can use this for jewelry, office supplies, make up, art supplies,hardware. 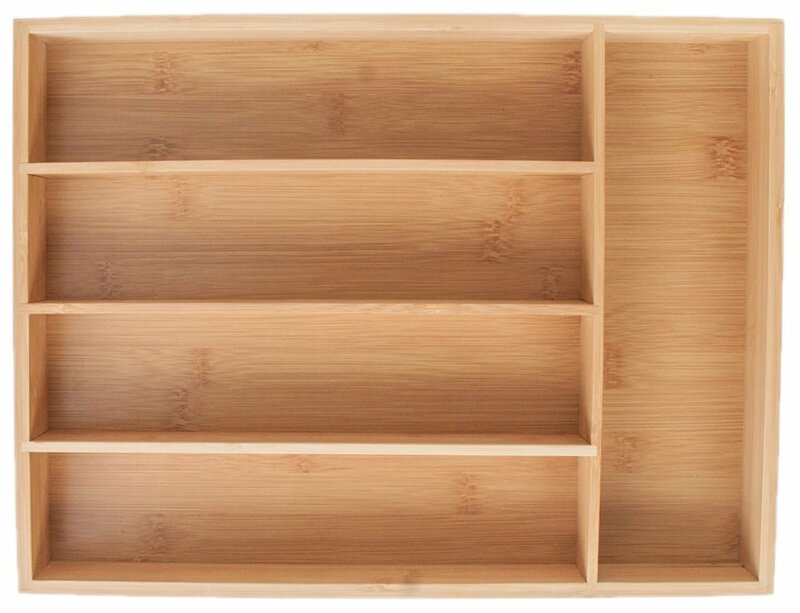 It fits in a drawer but can be set on a shelf, desk , where ever you need it. I like that it's made from bamboo, a good alternative to wood. I'm always happy about organizational products. It makes me feel so much more together when I'm not having to hunt for the things I need. I don't deal well with clutter, and products like these make my life so much easier. I received both products for free in exchange for my honest unbiased review.